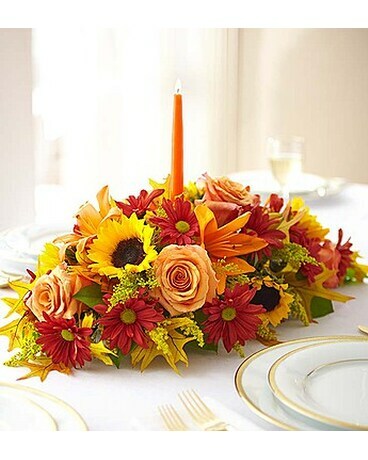 The rich beauty of the European countryside comes alive in our best-selling fall centerpiece. 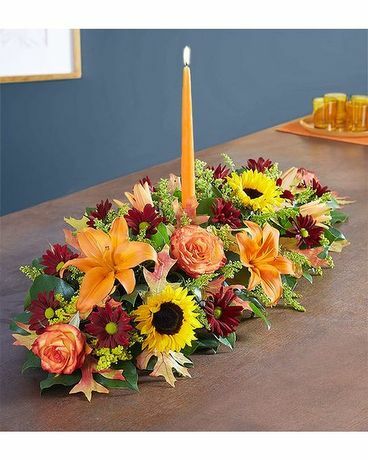 Handcrafted by our skilled artisan florists, this vibrant arrangement is filled with a gathering of fresh-picked blooms in brilliant colors. 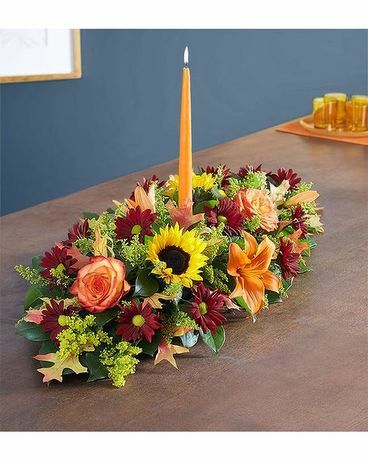 Finished with a glowing orange candle, our signature table display will warm their homes, and their hearts, all throughout the season.